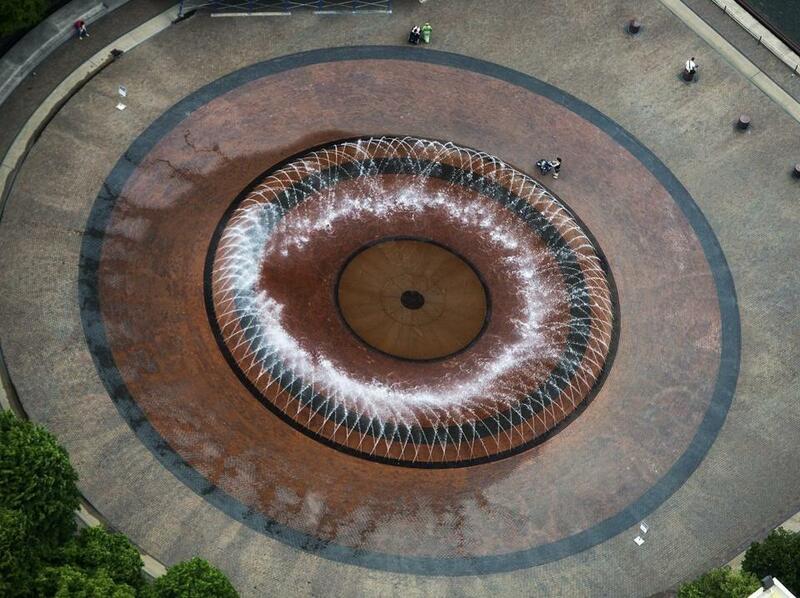 Pedestrians walked around the fountain on the Christian Science Plaza Tuesday as temperatures climbed into the 80s. After a record-smashing snowy winter, the Boston area has settled into a spring of sun-baked lawns and slow-growing crops. According to the National Weather Service, the region is in the midst of what could be the driest May since 1944. Only 0.31 inches of precipitation have fallen so far this month, less than a 10th of the average. This will be the second-driest May on record if no rain falls before Monday. This month’s weather — also about 3 degrees warmer than average — has exacerbated an already dry period, leaving the region in a period of moderate drought. Meteorologists say a steady storm lasting a day or two and dropping at least an inch of rainfall could help bring the area out of the drought. Right now, there’s a chance this type of rain could fall from Saturday afternoon to Sunday morning, said meteorologist Kim Buttrick at the National Weather Service’s Taunton office. The other spring months of March and April were also drier than normal, the National Weather Service data show. To date, this spring’s rainfall total is the eighth lowest since recordkeeping began in 1872. Hayden Frank, who is also a weather service meteorologist in Taunton, said the moderate drought is not a cause for grave concern. Other regions, like California, are facing much worse dearths of rainfall. “It’s not something that happens every year, but a moderate drought does occur here from time to time,” said Frank. The Boston area did not see the nor’easter rainfall it usually gets in the early spring, said Frank. Usually, Southern New England sees between 3.5 and 4.5 inches of precipitation a month, said Frank. May, June, July, and September tend to be slightly drier than the other months, but the rainfall averages are pretty steady throughout the year. Despite this, the Boston area has seen varied rainfall totals in the last 143 years, and even a one-100th of an inch of rain could move this May to the third-driest spot in the record books. How much rain falls in May in the Boston area?